National restaurant chains are being confronted by higher food costs, changing customer preferences, mandated increases in hourly and manager overtime pay, and increased competition. These trends have driven the implementation of an unprecedented level of new technologies in the restaurant industry including mobile ordering, innovative service models, advances in restaurant automation, and much more. The present article discusses the latest trends in restaurant technology as well as the R&D tax credit opportunity available for companies innovating in this industry. Mobile technology is being used by food chains to create apps that enable customers to place orders from their smartphones. Mobile apps have many advantages besides just being another way for businesses to differentiate themselves from their competitors. 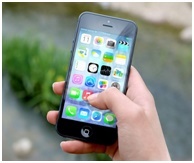 Mobile apps allow restaurant chains to become more interconnected in their customer's lives. A mobile restaurant app residing on a customer's phone not only allows the customer to order remotely, it also acts as a free daily advertisement. Americans on average spend 162 minutes a day on their smartphones; 86% percent of this time is spent using apps. The likelihood is high that at some point in the day customers will see an app icon of a food chain on their phone. Strategically timed, promotional push notifications can also be used to increase sales generated by mobile ordering apps. Using push notifications, promotions can be sent right before lunch to increase mid-day sales or they could be used to convince parents on their commute home from work to pick up some take out for the family. Mobile apps promote improved in-store customer service, giving customers multiple ways to order and leading to shorter lines in restaurants. Since customers associate shorter wait times with better customer service, this translates to an increased probability of customers returning to restaurants and therefore increased sales overtime. Mobile apps also facilitate the development of delivery services. Fast food franchises like Mc Donald's, Burger King, and Taco Bell are well established, however they have, for the most part, forfeited the opportunity to generate revenue from delivery services. Currently, mom and pop-owned restaurants dominate the food delivery market, but mobile technology looks to change this dynamic. “The rate of adoption for traditional loyalty programs is about 5 percent to 12 percent. For mobile payment combined with loyalty programs, the adoption range increases to 18 percent to 28 percent. Put mobile payment together with order-ahead capability and a loyalty program and that range climbs again to between 15 percent and 35 percent." Adding delivery services to these loyalty programs will likely increase adoption rates further. Mobile apps and ordering is important for national restaurant chains to stay competitive, however some details still need to be ironed out. One problem with mobile restaurant apps is they take up memory on customers’ phones. If users want to download the app for all their favorite restaurants, their smartphone may soon become cluttered. Moving forward, it will be important to develop high-quality restaurant mobile apps that take up very little memory. This means that restaurants will have to implement cloud technologies and might even have to collaborate to create an app that houses all the individual food chains’ apps. National food chains know that managing restaurants is a science that requires skill, efficiency, and precision; that is why they are always researching and developing ways to improve their service models. One innovative service model is upstream ordering. Having customers wait for extended periods is not only poor customer service, it is also costly. The more customers a restaurant can serve in an hour the more sales they can make. Upstream ordering works by taking customer's orders while they are on line as opposed to when they reach the cash register. Once the customer order is taken, it is sent to the kitchen to be prepared. The customer then pays at the register when they get to the front of the line. Chick-fil-A is just one example of a national restaurant chain that has implemented upstream ordering. It took Chick-fil-A two years to develop their upstream ordering process. Initial testing of Chick-fil-A’s upstream ordering determined that the time it took from when an order was placed to when an order was delivered was reduced by more than half. Another trend that will have profound effects in the restaurant industry is the use of tablet technology. Restaurants are now using tablets as a way to improve the customer experience while simultaneously increasing sales. Restaurants are affixing tablets to tables so that customers can pay for their meal without waiting for their busy server. It is all too common for diners to wait for excessive amounts of times for their server when they are done with their meal and are ready to pay. All this waiting adds up which turns into bad customer service. This waiting also steals time from new customers that could have been sitting down and spending money. E la Carte, based in Redwood City, CA, is capitalizing on this fact. Their Presto tablet allows for tableside self-checkout which can reduce the average diner’s stay by 7 minutes. The Presto tablet also has the ability to suggest items to order. This feature can translate to a 10% sale increase. The impact that tablets will have in the national food chain industry is huge. Chili’s and Applebee’s combined have installed 170,000 tablets in their restaurants this past year. Tablets will also help restaurants in a time when food allergies are on the rise and people are looking to make healthy food choices. Restaurants will be able to put their entire menus on these tablets, as well as the nutrition facts and ingredients of their menu items. There will be no more scenarios of customers asking their servers if there is a certain ingredient in a menu item, only to be met back with a blank stare and a response of "I don't know, let me ask someone. I'll be right back." Listing ingredients will also help restaurants attract new vegan customers. Many vegans will not eat somewhere unless they are 100% percent sure of what products were used to prepare their meal. Another important aspect of tablet use is it allows the customer's credit card to never leave their side which will reduce the likelihood of credit card fraud. The integration of tablet technology into the restaurant industry not only provides increased efficiency and profitability for restaurant owners, it also provides superior customer service and security. Self-serve kiosks are also being implemented at large food courts, including airport food courts and many restaurants. Implementing self-serve technology decreases business expenses, reduces human error, and is therefore more efficient. In recent years, the menu at fast food establishments has expanded tremendously, in an attempt to attract a wider customer base. The problem now is that the menus are more complex and, therefore, require more time to train employees on how to cook meals. The complexity of these items also contributes to longer prep times and mistakes in the kitchen. This then creates the need to hire more workers in order to maintain customer service standards. Expanding the menu also requires a wider array of ingredients which requires more storage space and more frequent deliveries if extra storage space is unavailable. Automation and increased efficiency seem to be the only way to overcome the dynamics of larger menus. Eastsa, a fully automated restaurant in San Francisco fully embodies the trend of automation. Diners can utilize one-touch iPad ordering and moments later it is ready and waiting in glass compartments. There is only one worker involved in front house operations, with the sole job of aiding customer iPad use. This innovative business model tackles increasing labor costs, while simultaneously offering customers a novel experience. Momentum Machines, another San Francisco start-up, is developing a device that will be able to shape hamburgers from freshly ground meat and then grill them to order. The machine can also toast buns, slice, and add fresh ingredients. This burger making device can produce 360 hamburgers per hour. Big data analytics is rapidly changing the way national fast food chains make decisions. Data from a restaurant’s POS, marketing, accounting, and inventory systems hold the key to making insightful decisions that can lead to success. 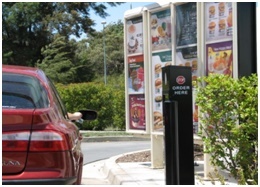 Data analytics can help improve any aspect of the restaurant business, even drive-through performance in real-time. Data analytics can be used to strategically determine which items to display on the digital menu board. When lines are long, the board can display items that can be quickly prepared. When lines are short, the menu board can display higher margin items that may take longer to prepare but are more profitable. Starbucks uses the insights from big data analytics and software to determine future store locations by analyzing location-based data and demographics to determine the optimal place to open new stores without hurting sales of other Starbucks locations. McDonald’s also uses data analytics to optimize equipment, process layout, and staffing of restaurants. National food chains should not be asking if they should be using big data analytics, they question is how to implement data analytics more strategically than their competitors. Cloud technology is also drastically changing the way national food chains are doing business. Cloud technology is allowing executives of these food chains to look at the real-time performance of their stores internationally from any web-enabled device. This amount of control enables executives to see which stores are performing poorly and take action to turn a potentially poor sales day around by flooding the areas where those stores operate promotions. Cloud technology also promises easier Payment Card Industry (PCI) compliance and, less IT management. Implementing new food cost management software is another way that national food chains can increase efficiency. Restaurants in different parts of the country have very different food cost structures, which makes it hard to determine which stores are doing a poor job managing their food costs. For example, one store in South Carolina may get a better price from a local food vendor than a store in New York. This does not necessarily mean that the South Carolina store is doing a better job of managing cost than the New York store. The only way to determine which store is doing a better job of managing cost is to compare their actual food cost against their theoretical food cost. Actual food cost is the cost to produce all the meals for a given period. This includes costs associated with breakage, shrinkage, and waste. Theoretical food cost is what the cost should have been to produce all the meals for a given period, essentially how much the ingredients cost for each recipe. The development of software that can produce food cost variance reports is one of the best ways food chains can keep track of stores performance and potentially save millions. This software allows national food chains to improve upon one of their biggest expenses. Food waste reduction is very important for national food chains, especially for branches operating in cities where rent is extremely high. It is costly to store large amounts of garbage while waiting for trash pick-up services to come. Many new systems are being used by food chains to combat this problem. BioHitech America’s Eco-Safe Digester is one technology being used by restaurants to reduce food waste. Through combining moisture, heat, and oxygen, this machine aids microorganisms to break down food waste into water. The Eco-Safe Digester prevents 70 million pounds of waste from ever reaching landfills and in doing so, saves $3 million a year in waste hauling. Software also helping restaurants with food waste reduction. LeanPath’s Zap system allows restaurants and food service operations to track and reduce their food waste using tablets. The software features immediate text message alerts of excessive food waste in real-time. Managers can use the Zap system to keep track of what products need to be ordered and which products are being over ordered, which allows restaurants to be proactive and not reactive when it comes to food waste. EPA statistics state that “restaurants can use up to 2.5 times more energy per square foot than other commercial buildings.” Taking into account that 3-8% of food chain total operation expenses are due to energy costs, upgrading equipment can greatly decrease these expenses. A 10% or greater reduction in energy costs can translate to a 4% increase in net profit margins. Developing an energy management system can be an economical way to decrease energy costs. Restaurants are in a position where they can particularly benefit from integrating energy management techniques with the Internet of Things (IoT). Embedding electronics, software, and sensors into lighting systems, cooking equipment, and HVAC systems allows managers to have control like never before. Managers can be alerted when lights are left on, cooling and heating systems are running simultaneously, equipment is running inefficiently and when doors to refrigeration units are left open. Energy management systems can become even more effective when the efficiencies of supervisory control and data acquisition (SCADA) systems are used. SCADA is a system that operates coded signals over communication channels so equipment can be monitored and controlled. SCADA systems are conventionally found in highly efficient manufacturing environments, but when adapted to restaurant chains they can provide tremendous capabilities Using SCADA, a manager can now take action when the lights are left on or heating and cooling systems are running simultaneously by remotely turn off the lights, heating and cooling systems. Collecting data on energy usage also allows managers to determine during which shifts energy is used inefficiently. This promotes accountability and motivates employees to make energy conscious decisions. Furthermore, data collected from equipment can be used to create energy profiles that inform management when to conduct preventative maintenance. This increases the efficiency of the equipment while reducing equipment replacement costs. National food chains are implementing a wide range of advanced technologies to stay competitive in a continually changing industry. Due to their size, national food chains benefit from economies of scale when implementing innovative restaurant technology. Any investment in technology can be applied to all stores and thus produce substantial benefits, no matter how small the improvement may seem. Research and development activities in restaurant technologies will enable national food chains to stay competitive in the years to come. Federal and state R&D Tax Credits are available to help support and stimulate restaurants implementing advanced technology.